I needed to have something healthy on this menu, and these spinach balls fit the bill. 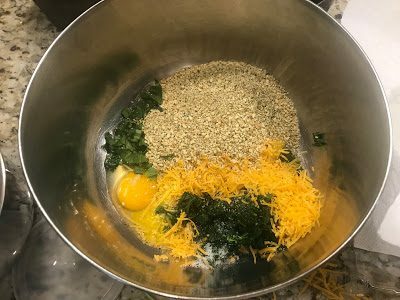 They’re made with fresh spinach, cheddar cheese, Gluten free panko crumbs, and eggs. 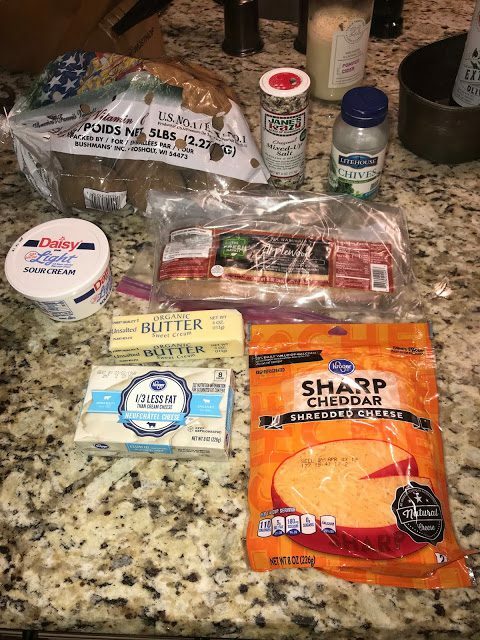 But more importantly than being healthy, they have to be delicious – and they are! 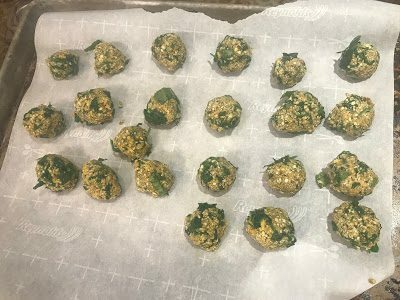 Makes roughly 24 spinach balls. Preheat oven to 350 degrees F. Trim and wash the fresh spinach leaves. 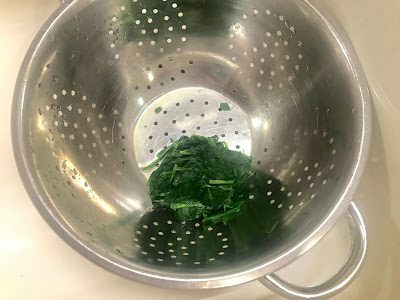 Place the leaves in a large mixing bowl and over with boiling water. Cover and set aside for 3 minutes. Rinse the spinach with cold tap water. Drain using your hands to squeeze all the remaining water. 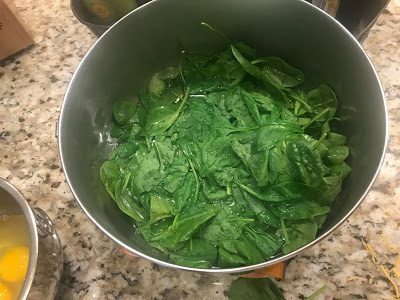 You should end up with about 2/3 cup of packed cooked spinach leaves. Place on a chopping board, and finely chop the cooked spinach. Transfer into a mixing bowl. 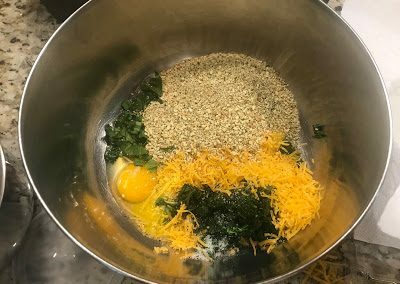 Add eggs, cheese, herbs and panko gluten free crumbs. Add a pinch of salt and pepper. Combine with your hands, until it forms a batter from which you are able to form balls. 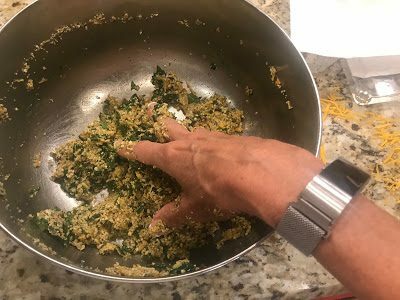 If too moist add slightly more crumbs until easy to roll as ball with your hands. 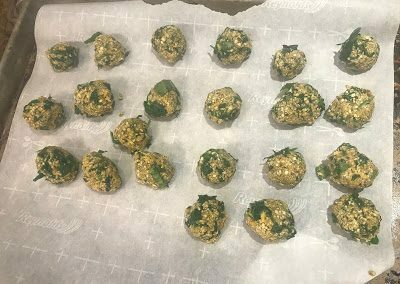 Place the balls on a cookie sheet covered with parchment paper or tin foil. Bake at 350 degrees F for 15-20 minutes or until golden on the top. Serve immediately or serve later cold. 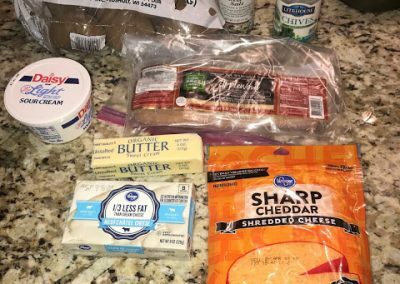 ***These can also be made ahead (not cooked) and frozen easily (for up to 3 months). Then bake them directly from the freezer and enjoy!